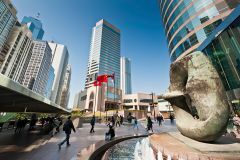 This page shows the latest Hong Kong news and features for those working in and with pharma, biotech and healthcare. In Hong Kong, there are a lot of investors who know about China but know too little about biotechnology. ... We hope our listing in Hong Kong can help educate both of these types of investor.”. Approximately 2 fully matching, plus 64 partially matching documents found. Greater China (China, Hong Kong, Macao, Taiwan). HIF, hypoxia-inducible factor prolyl hydroxylase. More recently, he wrote an investment book 'Investing Against the Tide' and managed Fidelity China Special Situations PLC whilst based in Hong Kong for four years. We are working in globally diverse destinations, such as Hong Kong, Singapore, Korea, Australia, Germany, Portugal and Spain. ... Last week alone, our teams were running events in Lisbon and Hong Kong, as well as Liverpool and Huddersfield in the UK. From the heart of Hong Kong, MediPr serves customers in Asia Pacific, Europe, and America. ... Address:. 70 Queen's Road Central. Unit 1104 Crawford House Central. Hong Kong SAR. Address:. House 171, G/F. Sha Kok Mei Village Hong Kong. China. North Asia's largest markets; China, Hong Kong, Japan, South Korea and Taiwan, are home to more than 1.6 billion people and is a key global growth region.